The Guru and the path of freedom; a contradiction? I had a very interesting comment from littleindian that made me think. A lot of littleindian‘s comments are thought provoking. Littleindian was questioning whether my seeking approval from Satguru Bodhinatha to change my vow of vegetarianism to allow eggs was sacrificing individual thought. Within Hinduism you can argue on any subject. You can even make statements like “There is no Krishna or Rama” and still be a Hindu … In Hinduism one will seldom come across a statement starting ‘Thou shalt not.’ … you will find it to be filled with all kind of ideas. Yet Hinduism also has the concept of the Guru, the spiritual preceptor , the God realised master who will lead his (or sometimes her) followers to God. The Guru is the ultimate authority. How can we reconcile this with the freedom of ideas?I will digress a little for now, but come back to answer the question later. 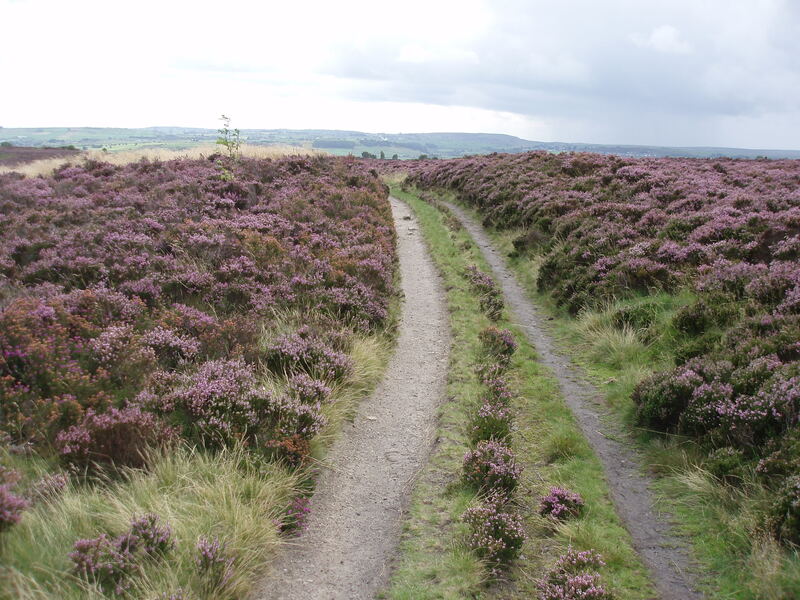 Last Sunday I went for a walk across the moors. Fairly recently UK law granted the “right to roam” in high moorland, and much of the walk was across this land. I could have walked anywhere, yet I had used maps produced by other people better equipped than myself. Most of the time I followed paths. I did leave the path for a while to see a nearby landmark. The going was much slower . I had to backtrack a couple of times to avoid bogs. 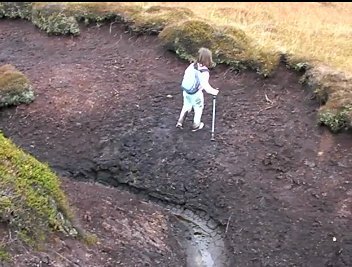 Uneven ground, thick heather and bracken made the traveling hazardous. Even when going off the path I was following a map. People who set off across the high moor without a map, compass, or plan of where they are going are either extremely experienced or so inexperienced that they don’t realise how little they know. In easier and less remote terrain I have walked without a plan. I have found interesting things, but also many dead ends, uninspiring piles of litter and promising looking routs that have looped back to the road. Was there also a third choice, to step off the road and walk on into the wood? Hinduism gives us a lot of freedom. We have the freedom to chose our own path. We have the freedom not to chose any path but to forge our own. Those who do forge their own paths are honoured and appreciated. It is a slow way, and may lead to problems and backtracking. Those who try it will be either old wise souls or not realise the difficulty of what they chose. For most people the best use of the freedom is to chose a path with a guide, a guru. Most Hindus believe that most people need a guru to make reasonable spiritual progress in a life. For some people the guru may be a living person, for others someone not in the physical world, and for others a book. When I was young I would follow my parents on walks. They looked in the guide, decided the route, and I followed. When I started walking on my own I began with routs from clear guide books, detailing every turn and step of the way. Now I use maps to plan a lot of routes. Sometimes I will head for nearby features I see from the track, but always ensure I can find my way back. The Guru is primarily a spiritual guide and inspiration. The guru does give advice, but it seems to me that we are given as much advice as we need. For some people that may be a step by step guide, others just need pointers to the path will find the way from one point to the next themselves. How do you know if you are following the Guru correctly? Once I was walking back towards home. I could see that what I had to do was follow a trail through a wood, across a disused railway then pick up a path down into a valley. After crossing the railway I followed the track. After walking a quarter of a mile I hadn’t come to the valley. I carried on a little further, but felt something was wrong. I checked my compass and found that I was going in completely the wrong direction, south instead of west. I looked at the map and saw that there was another track heading in the same direction as the valley instead of towards it. I had somehow taken the wrong track in the woods. I saw that if I carried on I would reach a road descending into the valley. From this I could get onto the track I should have been on. I prefer not to walk along roads but this was quicker than going back to the woods, and it would be very clear that I really was where I thought I was. I came to the road, descended into the valley, then continued as planned. Following blindly without thought or initiative means that if you do make mistakes you may not realise it. The words of Gurudeva are full of indications and signs that we are on the right spiritual path. We need to be aware and see that we are progressing. I would imagine that if someone was not capable of this the Guru would guide them very closely, like a parent leading a child, but for most of us it is our responsibility to be aware. The sooner we realise that we have left the path the quicker it will be to get back on it. What if you are following a false Guru? ‘IT WAS only when his BMW crashed into a fence on the edge of a 100ft drop that Robert Jones realised he had been led astray by his satnav. 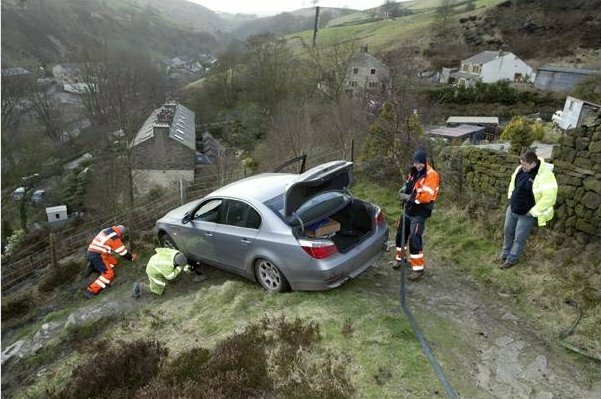 Mr Jones, who drives for a living, plunged down a near-vertical footpath on the hills above Todmorden because the electronic device said it was a road. Though not as spectacular as Mr Jones’ experience I too have been lead astray by faulty guides. I was walking on the high plateau of Bleaklow, when I came off the path. There was a slight fog (actually low cloud) and I could only see about 50 meters. I realised that if I headed in a general south-eastern direction I would reach the road, I was headed for a car park on that road. I phoned my wife to say I would be delayed then walked, following my compass. And walked. And walked…. After walking a couple of hours across featureless moorland I couldn’t understand why I hadn’t seen the road yet. My daughter on bleaklow in good weather! 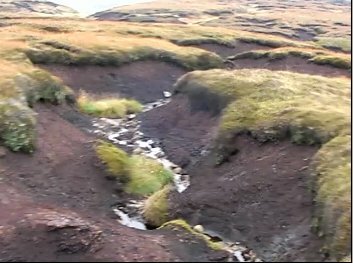 I knew that I must have walked more than the three miles to the road, but I was still very obviously up on the high peat moorland. I couldn’t understand what was wrong. I decided to call my wife again. As I took my phone out of the map-case I saw the compass turn away from it. I had put my phone near the compass and it was no longer giving me a true direction. Instead of pointing North it was pointing at my phone. I had been going round in circles! Fortunately knowing this I could head south-east, and after another hour I descended to the road, not too far from the car park. It would be nice if I could say that all gurus are genuine. Unfortunately there are people who pretend to be gurus for profit or power. There are also people who may believe that they are gurus, but have not reached samadhi or God realisation but confused some other state. Not every guru is right for every follower, someone may be a genuine guru but just not yours. 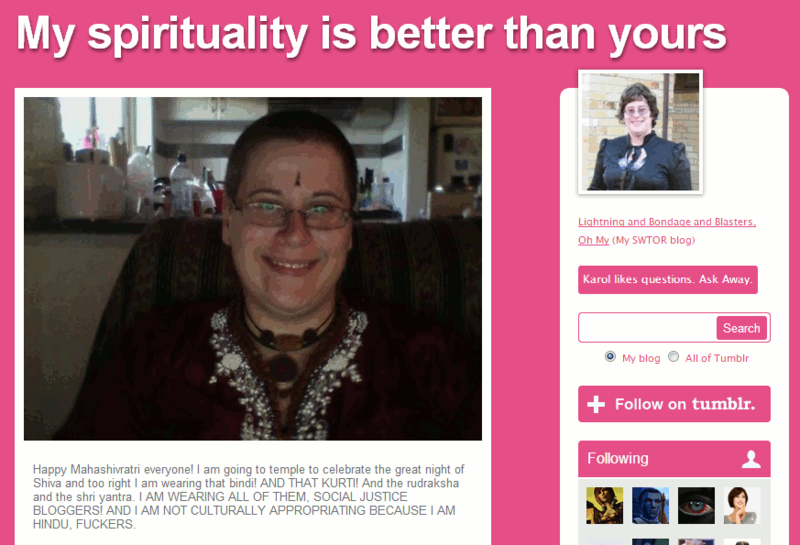 Following a false guru can have dire consequences. Like the poor man putting his trust in a sat-nav which lead him down the wrong path, following a false guru can lead us further away from our spiritual destiny, cost us money, and much more. Some cults might even put you in danger. I think it is essential to check your progress and see if your lineage and guru is genuine. Looking at other followers is valuable, do they appear to be making spiritual progress or are they concerned about power and intrigues within the movement? What happens to people who leave, are they wished well or condemned for their actions? The Himalayan Academy has an online forum for master course students, where people can discuss their and others progress and question things they have doubts on. The monks generally don’t interfere with this, though will answer specific questions and clarify teachings when asked to. Does Your Guru/Path Charge Money For Membership? Does Your Spiritual Teacher Have A High Standard Of Moral Conduct? Does Your Master Make Claims About His/Her Spiritual Development, Powers, or Attainment? Does Your Guru/Group Proselytize Vigorously For New Converts? Who Appointed Your Teacher to Be a Master? Are The Central Teachings Of The Guru/Movement Trans- Rational Or Pre-Rational? What Are The Day To Day Results Of Your Interaction With The Guru/Path? Question 6 expresses what said about a guru being mainly a spiritual guide and inspiration. The main emphasis should be on the spiritual. Philosophy should be to explain the path, not an end in itself. Rules should mainly be advice and guidance about what will help you develop spiritually. Of course there will be some hard and fast rules to avoid people interfering with others paths and ensure sincerity, but the main path should be that of advice with explanations given when needed. If the main emphases of teaching is about learning philosophies and theories, laying down rules, etc. and there is little spiritual emphasis this should be a warning that perhaps something isn’t right. It is said that for every step a follower makes towards a guru, the guru makes ten towards the devotee. Certainly at the beginning stages the guru will be checking each step of the devotee and the devotee should be checking those of the guru. In my following the Nandinatha Sampradaya I have never seen any indication or had the that I am being lead in the wrong direction. The only meandering from the path and impedance to progress has been due to my own weaknesses and slowness to understand. A guru and a sampradaya (religious school or tradition) should enhance thought, not impede it. It should provide a clear path, but offer that path as a choice not say it is the only path. I am happy that my sampradaya enhances my spiritual choice and freedom, more so than the Unitarians who had no fixed doctrine or belief, but also offered little in spirituality. 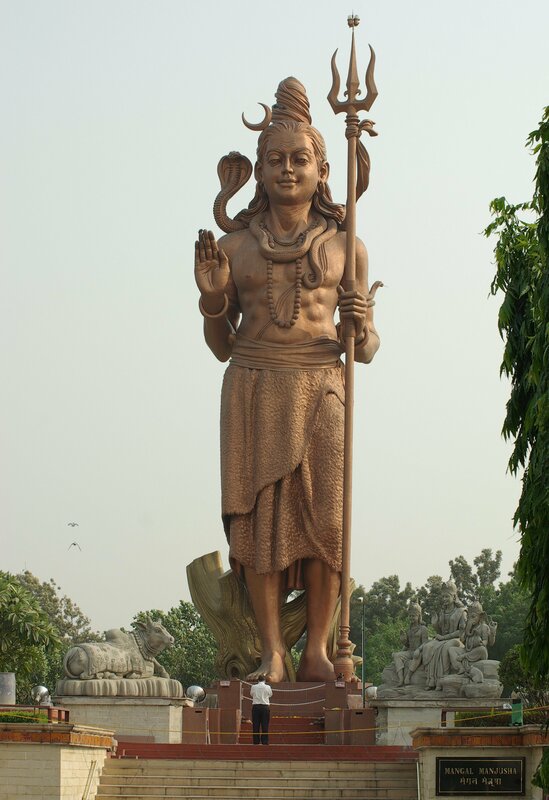 So is there a Contradiction within Hinduism? I have written a lot, so I will conclude with a concise answer to the question. I don’t think there is a contradiction between the religious freedom within Hinduism and the gurus, sampradayas, and their teaching. There is no contradiction between being permitted to walk anywhere on high moorland and the availability of maps, guide books and clear paths. I see it as being the same on our spiritual journey. Picture and short quote from the Halifax Courier are for illustration and I believe meet fair-use requirements. The Picture of Bodhinatha is from Wikipedia and on the creative commons license. The other picture is my own work and released on the same license as this blog. This entry was posted in hinduism, religion and tagged freedom, guru, unitarian, universalism. Bookmark the permalink. I agree with most points, not with some others. What I value most from this is to be able to see it from your perspective. When I was young I would follow my parents on walks. They looked in the guide, decided the route, and I followed. When I started walking on my own I began with routs from clear guide books, detailing every turn and step of the way. Being a hindu all my life, I tend to forget the first years when religion was something learnt from my parents . (Even had my hair shaved and ears pierced, not as a fashion statement, but in a ceremony to become true to a caste.) I now realise, you having chosen a new way of living will need to learn and know about the journey. My parents, in a way, were my gurus. You need someone you too can trust without questioning. Now I use maps to plan a lot of routes. Sometimes I will head for nearby features I see from the track, but always ensure I can find my way back. … you will know where you wish to be. But you no longer have to use maps. Find your own route. But you do not have to come back to where you started. For there may be somewhere else where you may find something better than what you aim for. Do not be afraid to get lost to find something new. I don’t think there is a contradiction between the religious freedom within Hinduism and the gurus, sampradayas, and their teaching. My only request, do not hesitate to contradict your gurus if you have faith in your own thoughts and beliefs and find them to be different. Because if you do choose to become lost, go awol, you will still be you. You will still have your freedom to choose which way you wish to go. I am not sure if I make sense. But this is how I think. What I sincerely believe. I will have to think about this too. I am also pleased to have an insight into your thoughts. You may have already read these. A hindu introducing Hinduism to the west, raising interfaith awareness, bringing Hinduism to the status of a world religion way back in 1893. I have no links nor a disciple of the organisation he founded. Just fascinated by his courage of saying what he said in an alien land more than a 100 years ago. Lord Ganesha holds the implements to help souls in his multiple hands. Trust him – he is always there to guide . He is the sentinel of right action and one can never be lost because he is always watching. Jai Ganesha! Upon further reflection on the egg/vegetarian issue. I am as you appear to be in the ‘Householder’ stage of life. I am the sole wage earner in a family of five as husband is studying. This situation thrusts one into many everyday dilemmas and many everyday joys. If any of my family cooks me something with meat in it, although I am vegetarian I accept it with grace because by doing so I feel that any spiritual advancement is amplified by this act of sacrifice to my own spiritual practice. I hope you don’t see this as criticism I just thought that some situations erupt as a test. What do you think?